We spotted a range of tech features and DIY additions to the bikes lined up for the start of Liege-Bastogne-Liege last Sunday; here’s our pick. Tim Wellens’ Ridley Noah SL had the usual slammed stem favoured by the pros. When we looked more closely at his pedals, however, we noted the layer of bar tape across the platform. Lizard Skins bar tape is cropping up in other unexpected places, such as Alex Dowsett’s track bike for his hour record attempt on May 2. 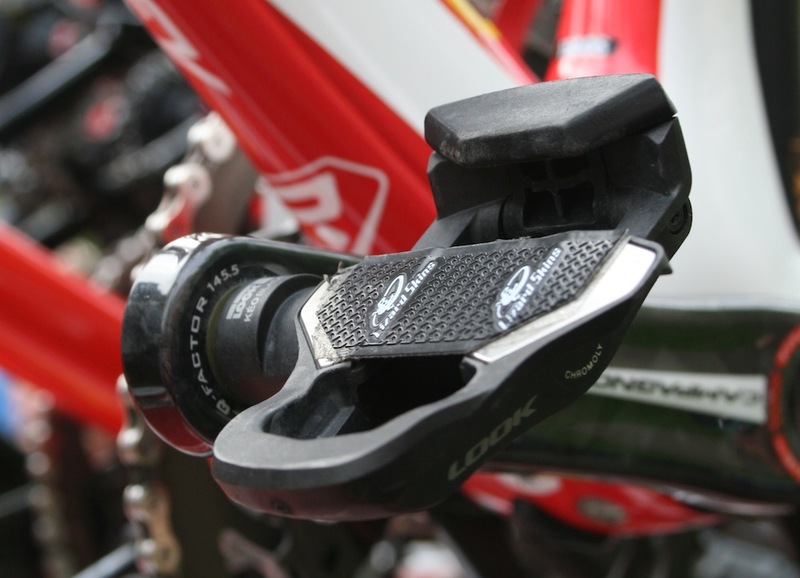 On the Look pedals it serves to grip the bottom of the cleat so that Wellens can still use the Look pedals’ float without his feet moving around too easily and to give a bit of vibration damping. 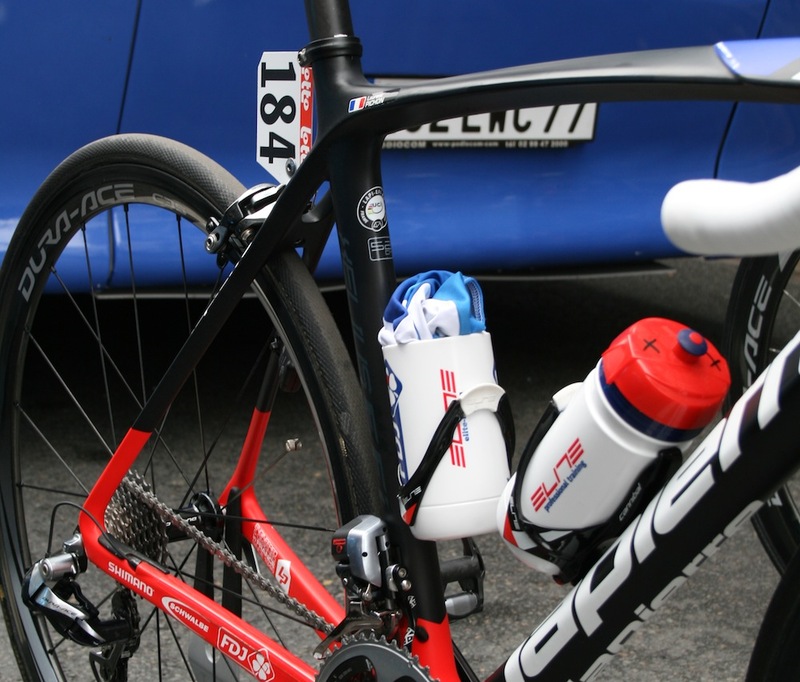 FDJ rider Laurent Pichon obviously prioritised keeping dry over keeping hydrated – his second bottle cage held a cut off bottle carrying his rainshell. 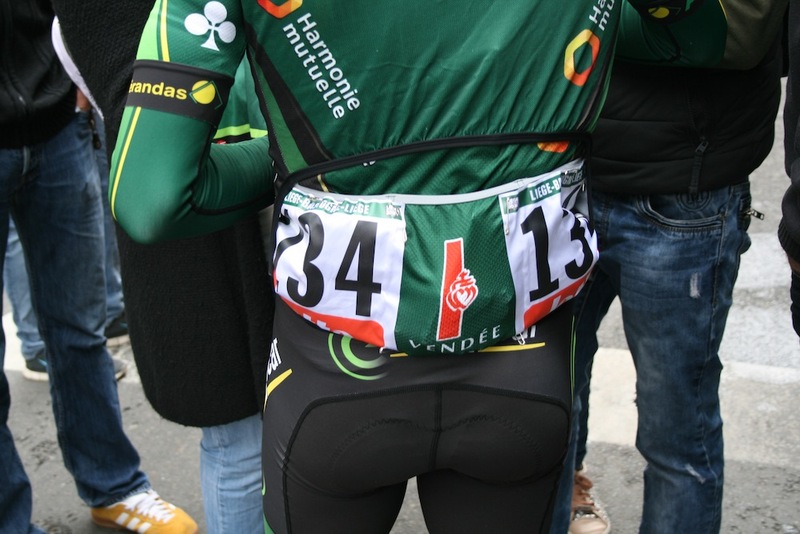 Europcar’s Maxime Meridel was sporting a gilet from the team’s clothing supplier Louis Garneau with a cut-away back to allow access to his jersey pockets when riding. 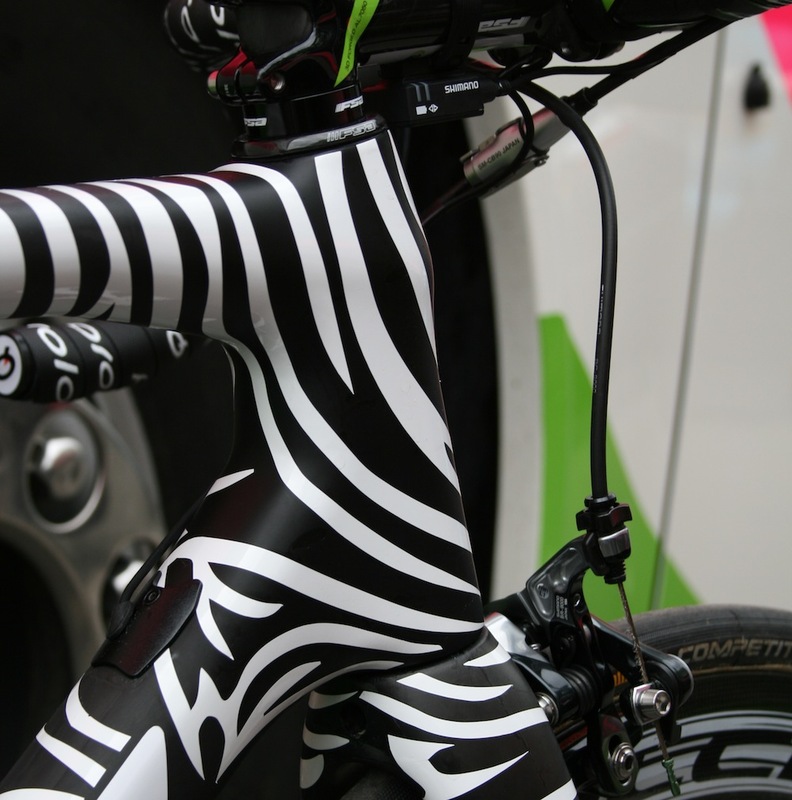 We’ve already covered Rafael Valls’ zebra-striped Merida, which we believe to be a new version of their Scultura climber’s bike. We’re not sure whether the stripes are to disguise its lines or to draw attention to it though. 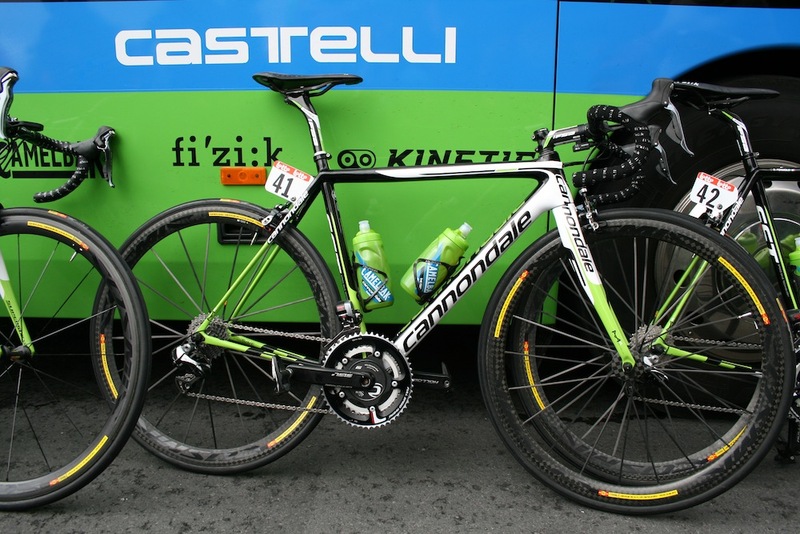 Finally, we spotted former winner Dan Martin’s Cannondale Supersix Evo, which was sporting Mavic’s yet-to-be-announced U-section front wheel, which has been a feature of Mavic-sponsored pros’ bikes throughout this year’s early races.